Whether you are looking to relax, release physical and mental stress or simply enjoy a wonderful massage with qualified practitioners, you’ll find it here. The Maternal Wellness Center offers therapeutic massage therapy to women. Massage can be used at any age as a natural approach to better health. Studies show massage therapy has been helpful in treating a range of ailments from injuries to headaches, as well as reduces anxiety and digestive problems. Our customized approach, with combined modalities, assures that our clients leave feeling relaxed and pain free. Therapeutic massage is a combination of modalities used to relieve pain, reduce stress and increase soft tissue mobility. Strokes and pressure can vary from light to firm. Styles such as Myofacial Release or Trigger Point Therapy may be used to release muscle tension. The massage may also include long soothing strokes to encourage gentle relaxation. Massage is not only a safe way to relieve common discomforts associated with pregnancy, it is also incredibly beneficial to both mother and child. During a prenatal massage, the strokes and positioning are adjusted so the soon-to-be mother remains comfortable, allowing her to reap full benefit of the massage. Just to name a few, some of the benefits of a therapeutic massage are: decreased muscle tension, restored balance to overstretched muscles, increased circulation and decreased swelling. Alleviating some of these discomforts, helps to reduce stress allowing the new mom to focus on the excitement of her pregnancy. Fertility Massage is a safe, therapeutic massage focused on creating the best environment for conception. 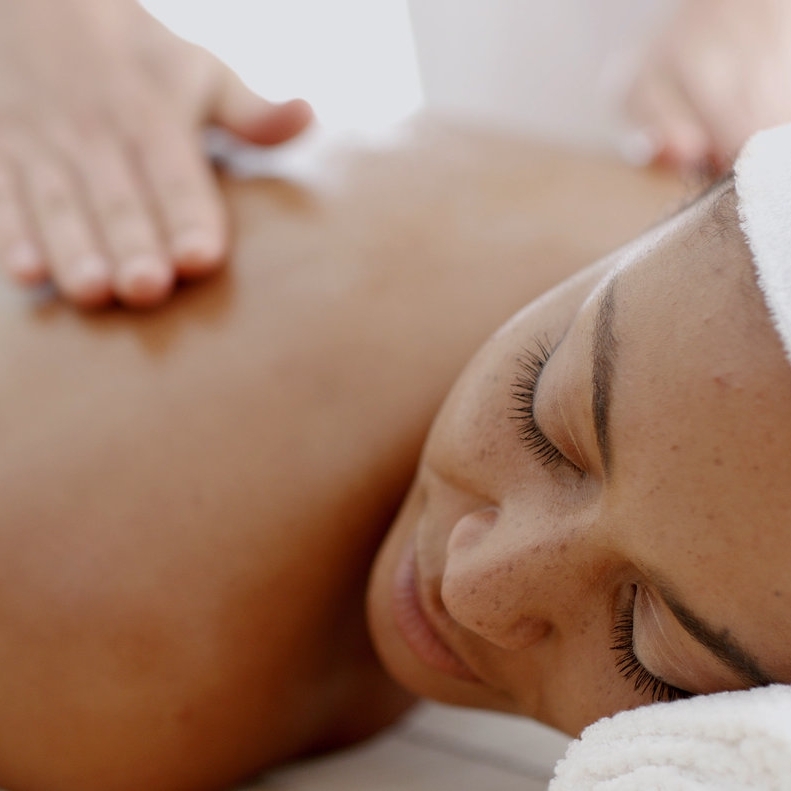 This massage consists of a unique blend of modalities to help prepare a woman’s body for conception. During the massage you will experience a warm castor oil pack used on the abdomen to aid in cleansing and breaking down adhesions, as well as Cranial Sacral Therapy, Shiatsu, Reflexology and non invasive deep pelvic work. It is a deeply relaxing massage and aids in relieving the stress that can occur while trying to conceive. Taught by Maria Pyanov, birth educator, parenting writer, and doula. Maria’s comprehensive childbirth classes are based on the idea that birth is a profound life event and that it offers opportunities for learning and growth. These classes are designed to be taken at any stage in your pregnancy. Our classes involve both education and exploration of feelings about pregnancy, birth, and parenting. After taking this class you will feel empowered, informed, and ready for birth. During our one-day intensives we cover: Comfort measures for labor, relaxation techniques, VBAC preparation, reducing the risk of cesarean birth, options for birth, postpartum wellness, breastfeeding, and more! Pre-registration required as space is limited. Sundays, bi-monthly; 2-6p, cost is $165.00 per couple. Please contact us, including the date (check events page) and class name to pre-register. Fridays; 11:30-1:00, cost is $5. Please contact us, including the date to pre-register. Heidi Lengel, a trained psychotherapist, will facilitate this support group. Are you feeling isolated and alone after the loss of your baby? Our baby loss support group is open to anyone who has experienced the loss of their baby during pregnancy (20 wks+), at birth, or shortly thereafter. This group aims to help women express the profound grief that they live with, without any fear that it will overwhelm others. Grieving moms will gain new insights on their healing journey, create tools for recovery, and feel connected to other women. Tell your story and begin to heal. It’s too difficult to do this alone, and you don’t have to. Fourth Tuesday of each month; 7:30-9:00 pm, cost is $25. Please contact us, including the date to pre-register. This supportive group will be facilitated by a trained therapist and specialist in peripartum mood and anxiety disorders. The group will explore ways to cope, find expertise about what is happening, and experience healing during this difficult time of transition. There are other women who feel like you do! Come and connect, you will be glad you did. Every Wednesday; 10:00 am, cost is $25. Please contact us, including the date to pre-register. Heidi Lengel, a trained psychotherapist, will facilitate this group. Are you struggling with the stress, fatigue, and constant pulls that comes with being a working mom? Come and connect with other local working mothers in a supportive group environment where we use music, mindfulness, and discussion to discover tools for dealing with the challenges and emotions of working motherhood in healthy ways. You may even find a local mom-friend who is just as busy as you! First Tuesday and Second Friday of each month; 7:30-8.30 pm, cost is $25. Please contact us, including the date to pre-register. Monday evenings; 7:30-9:00pm, cost is $25. Please contact us, including the date to pre-register. Maria Brooks, BSN, RNC-OB, will facilitate this group. The Cesarean Healing Circle provides a safe place for women to share their stories, begin healing, remove emotional scars, and celebrate themselves as birthing women. By use of visualization techniques and symbolism, participants will find common ground and support while sharing their own unique birth stories in a small group environment that is supportive and understanding. The circle is only for mother's who have given birth by cesarean section. It is advised that you be at least six weeks postpartum before you attend the Circle, however it is never too late to attend. Babies/children cannot be present during the Circle. Pre-registration is required, space is limited to 2-4 attendees. Please contact us, including the date (check events page) and support group / class name to pre-register. Our clinicians and staff offer a free 15-minute phone consultation and evaluation to determine if services at the center are a good fit for you, and get you quickly connected to care. We will assist with any referrals, if needed, to our network of local providers and services. Our therapy services are reimbursable if you have Personal Choice or out-of-network options in your insurance plan. We find that government employees, school district employees, and those who work for larger companies often have this option - it's worth a call to check with your individual plan. We accept checks, and all major credit cards. We can process payment for services from an HSA or FSA account debit card as well. We charge a "convenience fee" of $3 for credit card processing. The center offerings include daytime and evening hours, and services are by appointment only. A flexed-fee for is available as needed, feel free to inquire about this.